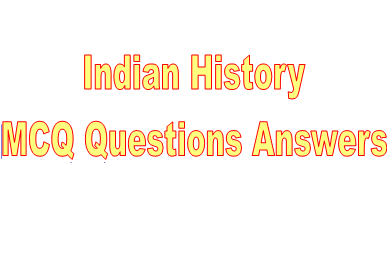 General Knowledge Indian History questions and answers with explanation Part –26 GK And jobs, RAS Exam Study Material, Current GK And Read more: Important facts for the Competitive exam in Rajasthan. And All subject Wise Notes and Math, Hindi, English, History, Political Science, Psychology, Sanskrit Related Study material and Rajasthan General Knowledge (GK) Question for Govt Exam preparation like RAS, IAS, UPSC, RPSC, 1st, 2nd, 3rd Grade Teacher, REET CTET, LDC, SSC CGL, IBPS, MBA, CAT, MAT, SBI-PO, RBI And Railway, Indian Army And all competitive Exams. Question (1) ‘Abhinav Bharat ‘, an anti-British organization? अभिनव भारत’ नामक अंग्रेज विरोधी संगठन की स्थापन की थी? Question (2) Who told Mohammed Ali Jinnah “Messenger of Hindu-Muslim unity”? मोहम्मद अली जिन्ना को ‘ हिन्दू-मुस्लिम एकता का दूत’ किसने कहा था? Question (3) the split of Surat, whose Congress came in hand? सूरत की फूट के बाद कांग्रेस किसके हाथ में आ गई? Question (4) ‘Political independence is the oxygen of a nation’ Who is this statement? ‘राजनीतिक स्वतंत्रता राष्ट्र की प्राणवायु है’ यह कथन किसका है? Question (5) When was the establishment of the Gadar Party? गदर पार्टी की स्थापना कब हुई? Question (6) Who established the All India Muslim League? किसने ऑल इंडिया मुस्लिम लीग की स्थापना की थी? Question (7) Which Indian movement’s top song ‘Vande Mataram’ is made? किस भारतीय आंदोलन का शीर्ष गीत बना ‘वंदे मातरम्’? Question (8) Who is known as the ‘father of unrest’? किसे भारतीय ‘अशांति के जनक’ के रूप में जाना जाता है? Question (9) ‘Who became the President of ‘Lal-Baal-Pal’ Thirteenth Party of the Indian National Congress? लाल-बाल-पाल’ त्रिगुट का कौन व्यक्ति भारतीय राष्ट्रीय कांग्रेस का अध्यक्ष हुआ? Question (10) Which was the port town of Indus Civilization? सिंधु सभ्यता का पत्तननगर कौन-सा था?